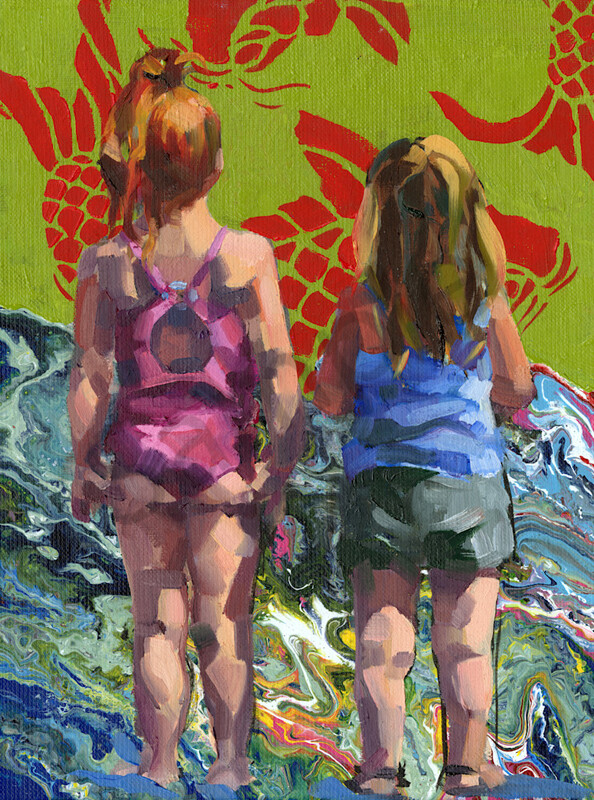 Contemporary oil painting of two girls at the seaside with green and red fish. I saw these girls at the beach one day and they were adorable. Clearly good friends and very cute. I painted them looking out over the water and created a contemporary feel by adding abstract elements in the background. 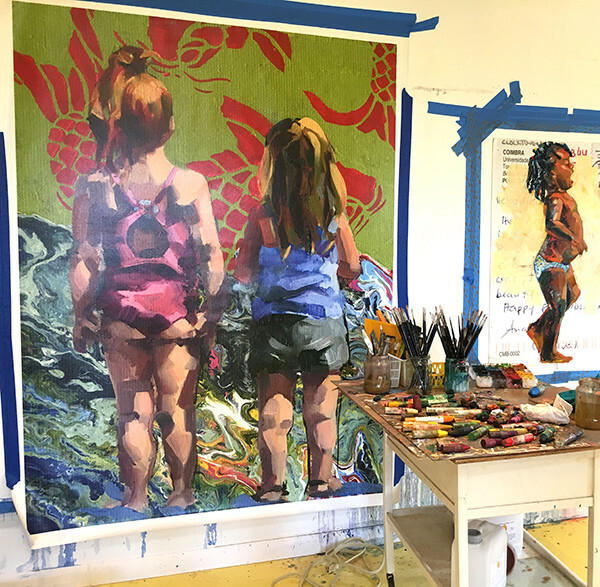 The girls are painted with oil on linen. In the background, I used a stencil technique to create the fish pattern. A large fine art print, the quality is amazing!